Join our experienced early-childhood music and art teachers for a magical week of exploration and creation! Our camps engage and motivate young children to try new things as well as develop their skills and interests in music and visual arts. SPRING & SUMMER REGISTRATION IS OPEN! Read further for more details and to register online. 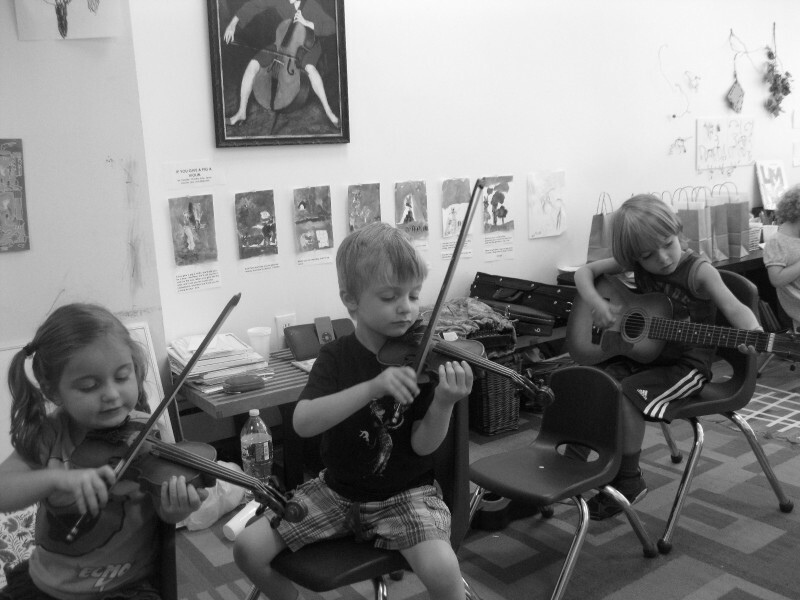 Campers ages 3-6 years have extended time each day playing the small-sized string instruments and piano, as well as exploring sound with other instruments including flute, guitar, xylophone, and percussion instruments. A very high teacher/child ratio allows each child to work closely with our teachers each day in their areas of interest, as well as have the space to try new things in our encouraging environment. 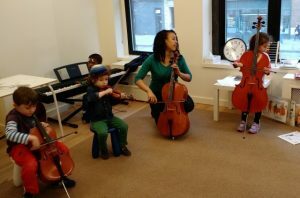 Children learn beginning note-reading and writing and explore written symbols in music, allowing them to write their own rhythms and melodies. 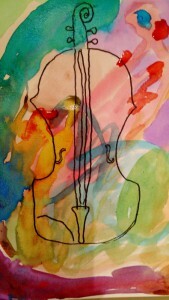 Improvisation, story-telling, movement activities, and recording are woven into the day. 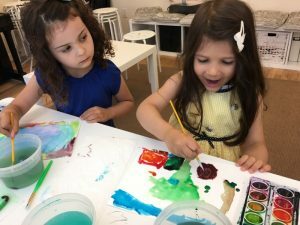 We offer art experiences including drawing, painting, collage, and instrument and puppet making to encourage the development of fine motor, observation, and listening skills as well as develop self-expression and sequencing skills. THEMES: Each week of camp usually has a theme, such as “Wind and Water”, “Outer Space”, “Carnival”, “The City”, etc. Sometimes we have the students help us decide on the theme for the week on the first day. 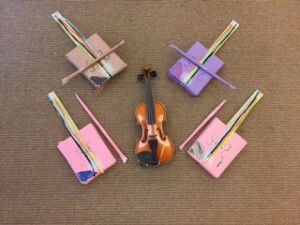 A note about drop-off and separation: camp begins with an open time for children to explore a few instruments and manipulatives. Adults are welcome to join their child for a few minutes, or simply drop off right at 9:00am. We gather for a formal circle time and Hello Song at around 9:15am each morning when we wave goodbye to any remaining adults. If your child may have trouble saying goodbye or become upset when you leave, we suggest encouraging him or her to sit with a teacher or work directly with a teacher when you are about to go. We encourage parents to always say goodbye directly, and we will help your child wave to you out the window if needed! Register online for April camp here! Register online for summer camp here!